The first presentation in the collaborative project Artistic Dialogue, from the research group Image in Context, NP3 and the Frank Mohr Institute. 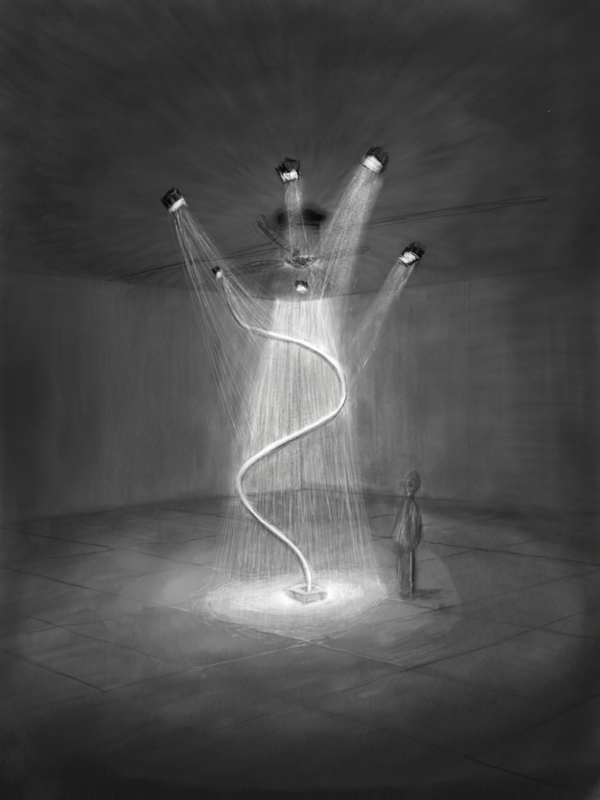 Waveline FS is an installation in which Federico combines light and movement that results in an optical illusion. The stroboscopic light reflecting on a white string that quickly spins, creates a moving spiral. And at the same time a perception of stillness and depth, creating a surreal architectural environment. Icon created by Federico Panzano from Noun Project.